I'm with your hubby, I could do both sauces on one plate.. as long as they are homemade that is. I'm with you, bottled green chili sauce (heck, even red for that matter) is never as good as homemade! I'm originally from Texas and love different chile sauces. Thanks for your recipe. By the way, I just bought a can of hatch chiles as I can't find fresh in New England. 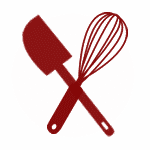 Are they fine for using in recipes? Canned chile works fine in recipes. It simply won't be as hot most of the time. You might be able to find it in the freezer section as well. There is nothing like a homemade sauce. And since I'm leaving Texas (tomorrow!) I am so glad you shared this recipe. I will be making it back in Colorado! This makes me sad because I don't have access to Hatch chiles this year. Canned chiles just aren't the same. Canned chiles definitely don't compare, but when you just HAVE to have green chile, they will work in a pinch. Frozen is the next best thing to fresh and if you are lucky enough to live near somewhere selling frozen chile from NM, it is probably Hatch. I bet your Food City sells it frozen, don't they? you are most welcome. We live in Alaska and order these every year. This looks amazing, I don't think I've ever seen a hatch chile. Do you ever bottle or can this, Mary? I haven't messed with canning it, Sue. We go through it so fast, I can hardly keep the green chile in the freezer. I was thinking it would make awesome gifts though. I may play with that idea for next year. I've been on a green chile kick for about three months and this sounds like a winner. I don't have any fresh roasted Hatch Chiles, but do have some home grown and roasted Poblanos and Big Jims in the freezer that may make acceptable subs. Nice article, Mary. 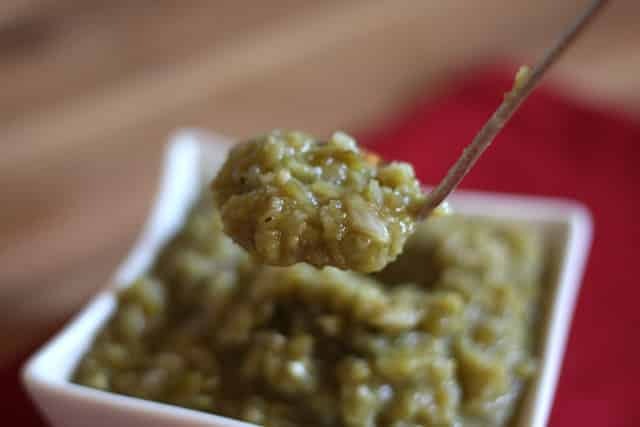 Green chile is more than just an ingredient in Santa Fe, it's a way of life! You can buy fresh Hatch chili. They usually ship between July and September depending on weather. 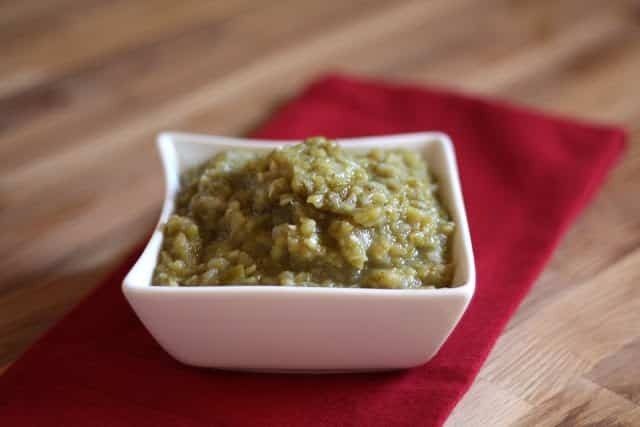 Just look up Hatch Green chili. If you add yourself to their mailing list, you will receive updates early to mid spring. Warn you, it isn't cheap, but then it never is. Shipping is reasonable considering they are shipping fresh and you want it quickly. Then you can roast your own. I have used to broiler in my oven, the grill, and open wood fire with a grill placed over. When I freeze, I add a bit of garlic to my freezer bag. If you have a a suction bag machine, it works fantastic and they stay forever. Hatch also sells canned. Walmart used to carry it in rather large cans and it was almost as good as fresh. I am unsure if they do now or not. And, no, I don't work for hatch.. :D I am just a woman in Iowa who came from Colorado and has a lot of relatives in NM.. A cousin told me about ordering fresh a few years ago. Hatch is a New Mexico valley (and has a company so named). The chile grown there are Big Jims. Old-School New Mexicans don't use cumin in Red OR Green chile. Ask around. We sometimes get Hatch Green Chili's at our local grocery store and they make it a big event. 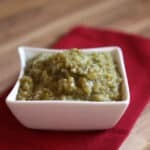 I've always wanted to try making a green chili sauce like this - looks yummy! I am from South Africa and have no clue if we have chiles.. would a bell pepper suffice as a substitute? I don't think that would be a good substitute. You need a chili pepper of some kind. I've never tried that myself, but you can certainly try it. Any pepper will make a terrific sauce, the flavor will change for the different peppers.